Today’s show was inspired by a trip that I took to Beijing, China with David about 3 years ago. I was reminded of the trip a few days ago when I was looking through some of my photos and came across some of the many photos we took during that trip. It was a wonderful 10 day trip and we had a fantastic time visiting places, such as the Great Wall, The Forbidden City, the Summer Palace, the Beijing Zoo, etc… Being who I am, the one thing from the trip that really stuck in my mind, besides the amazing historical sites, was our walk through what I believe was the Temple of Heaven Park. As we walked through that impressive park, I noticed that there were a bunch of people in the middle of the park performing slow dance-like flowing movements. When I asked our tour guide what they were doing, he told us that the group of people were practicing Tai Chi. The graceful images of those people gliding through different poses made an impression on me. So, when I came back home I started researching Tai Chi. I was interested to find out what the practice of tai-chi was all about and how it could be beneficial to one’s health. So, in this episode I will share with you my findings. 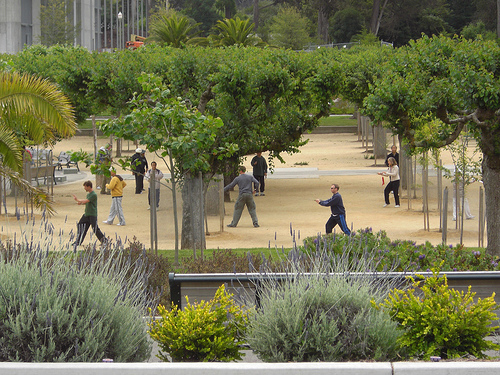 I will go over what Tai Chi is, the health benefits it provides and how to get started. Some references I used while researching this show are the medicinenet.com and Mayo Clinic. Cranberries, Not Just a Holiday Treat!